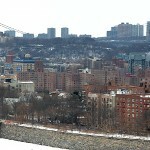 The picture encompasses the Bronx from the northern end of the borough. 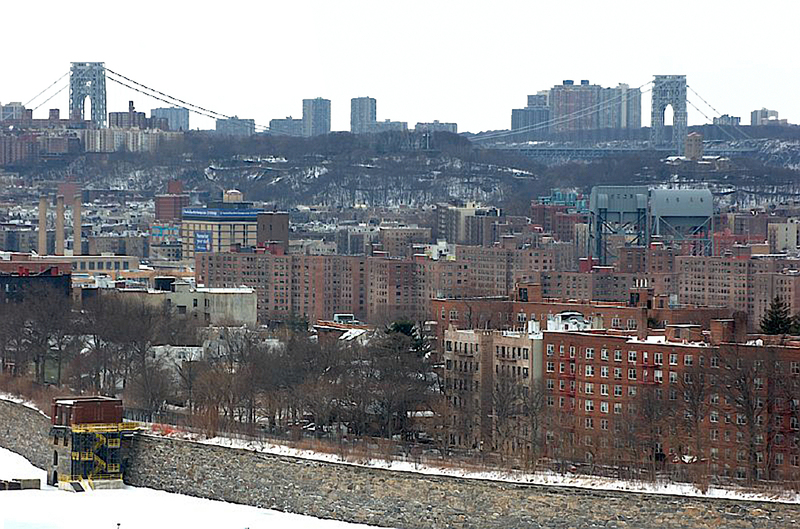 Starting from the Jerome Park Reservoir, one can see Marble Hill, the Broadway Bridge connecting the Bronx to Manhattan, with the George Washington Bridge and the Palisades in the background. It’s too bad there is not a bit more of the JPR showing (as contrast) in the foreground.